Aviation Updates Philippines - Confusion between Tigerair and Cebu Pacific flights led passengers to miss their flight according to ground staff. Passengers who are not informed about the Cebu Pacific - Tigerair deal, and those who don't listen to announcements were the ones who misses the flights. They do not know what aircraft they will fly with. They will be confused when they booked Tigerair then flew with Cebu Pacific because there are no more Tigerair planes which were returned to their lessor. 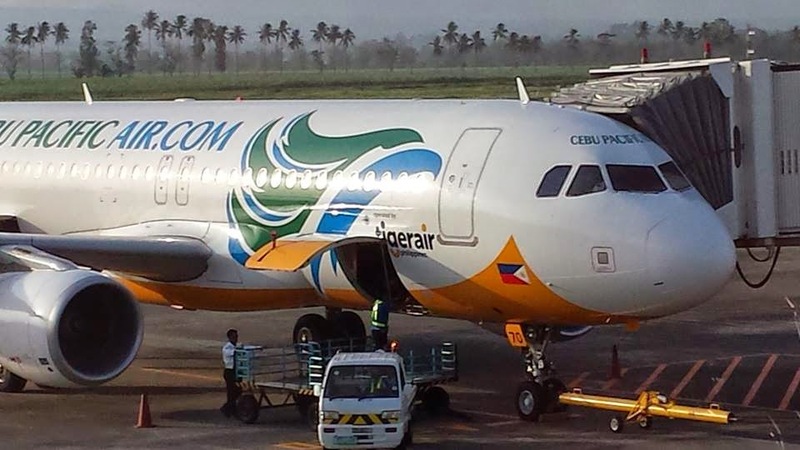 Cebu Pacific gave Tigerair Airbus A320 planes, but it is still in Cebu Pacific livery with a small "Operated by Tigerair" paint at both sides. Well, do you think passengers can see it? If there are 2 Cebu Pacific planes at the tarmac, one is Cebu Pacific at Gate 3 and one is Tigerair (without passengers knowing it) at Gate 4. Do you think passengers will get confused? If you ask me? My answer is yes, because some passengers don't listen to the announcements. It is clear at your boarding pass what gate you should stay. Why will you join those Cebu Pacific passengers if the gate they're boarding is Gate 3? It was printed in your boarding pass "Gate 4" and it is even said in the announcements. But, it's not the fault of the airline or the passengers. There's just confusion there. CEB currently operates a fleet of 50 aircraft comprised of 10 Airbus A319, 29 Airbus A320, 3 Airbus A330 and 8 ATR-72 500 aircraft. Between 2014 and 2021, Cebu Pacific will take delivery of 12 more Airbus A320, 30 Airbus A321neo, and 3 Airbus A330 aircraft. Tigerair, established in 2004, is a leading Singapore-based budget carrier that offers affordable travel options and a seamless customer experience. Tigerair comprises three airlines, namely Tigerair Singapore, Tigerair Australia and Tigerair Mandala. Collectively, the Group's network extends to over 50 destinations across 14 countries in the Asia Pacific. As at 31 March 2014, Tigerair has a fleet of 48 Airbus A320-family aircraft, averaging less than three years of age.